Wheat, water, salt, and yeast: simple, right? Nothing else is needed to prepare the inviting Valdadige Sfizzi! Without any additives or preservatives, they guarantee flavour and lightness, becoming the ideal product to be enjoyed whenever you want! 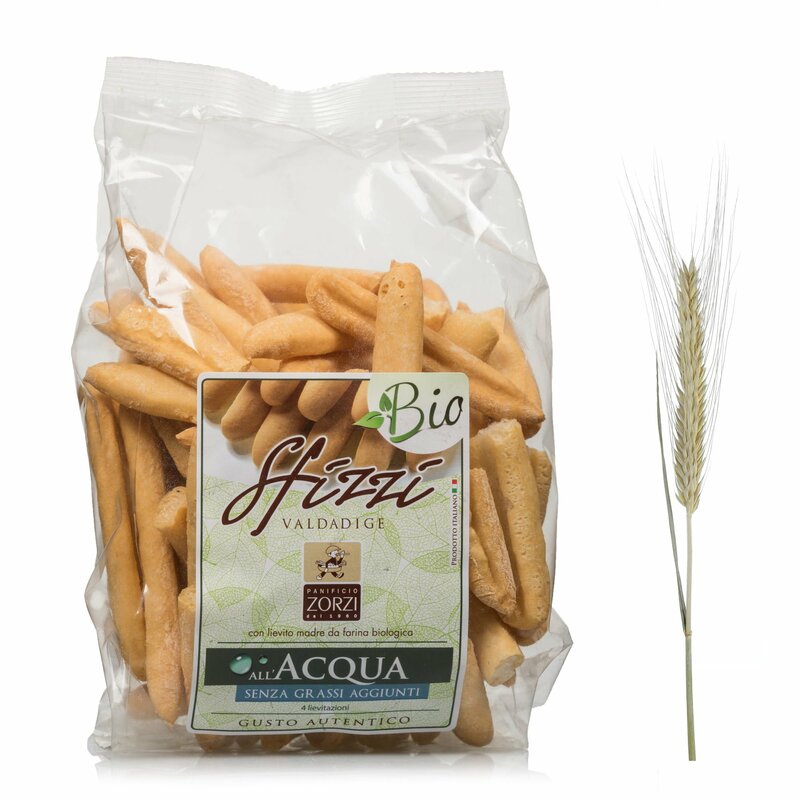 Ingredients Organic soft wheat flour, Soft Wheat Starter Yeast, Salt. Allergens: gluten. May contain traces of sesame, soya. For more information on product labels, please contact our Customer Service department. The information on the labels of the products may vary for reasons beyond our control, therefore, there may be discrepancies between the information on the site and that on the products delivered. Please always check the information on the product before consumption or use. Valdadige's products come from the beautiful natural landscape that surrounds the Adige river, with which Panificio Zorzi has a relationship of respect and exchange. Ethical traditions based on quality have been continued for generations. The passion of times past is combined today with the technological innovation targeted towards satisfying consumer demands. Eataly has selected the products from Panificio Zorzi because they are delicious and made with full respect for nature, which offers all its precious ingredients.